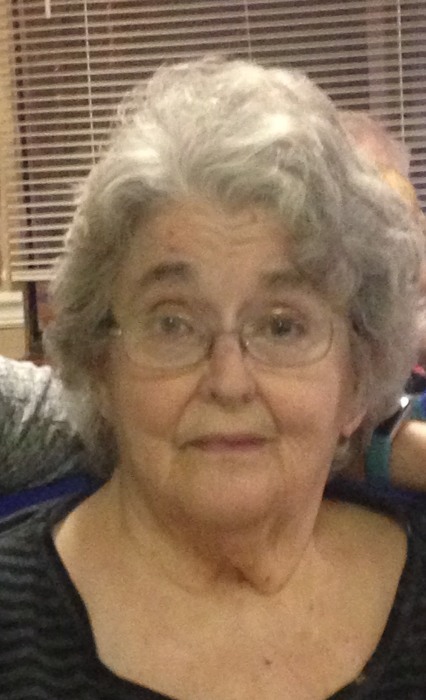 Sondra Jolene (Ira) Ridgway, 79, of Vincennes passed away April 13, 2019, at The Lodge of the Wabash Nursing Home in Vincennes. Sondra was born on February 8, 1940 in Bedford, the daughter of Earle and Evelyn (Jones) Thornburgh. She married Ellis Earl Ridgway on November 10,1959. Sondra had worked on the factory line at Harmon Motive. She was a member of the Bicknell United Methodist Church, she also enjoyed crocheting, collecting swans, garage selling, painting and, photography. For over 20 years Sondra opened her heart and door as a foster parent. Along with her husband, Sondra is survived by children; Bradley Earl (Kathi) Ridgway of Indianapolis, Gary Lee Ridgway of Evansville, and Robert Ira (Kristine Kenworthy) Ridgway of Plainfield; siblings Marilyn Thornton of Lenn, Mississippi, Robert Ira of Harvard, Illinois, Maria DeMoss of Woodstock, Illinois, Cyndi (Joe) White of Minooka, Illinois, Sue Vogt of Delavan Wisconsin, Elizabeth Thornburgh of Russellville, Indiana and Mike Thornburgh of Wonder Lake Illinois; five grandchildren and three great grandchildren along with several nieces and nephews. Funeral services will be on Friday, April 19, 2019 at 1:00 P.M. at the Bicknell United Methodist Church, 309 W. 3rd St. Bicknell, Indiana 47512, with Pastor Terry Brammer presiding. Visitation will also be Friday, April 19, 2019 from 11:00 A.M. until the time of service at the Church. Burial will follow in Royal Oak Cemetery. Fredrick and Son McClure-Utt Funeral Home Bruceville Chapel handled the arrangements. Online condolences may be made at www.fredrickandson.com.